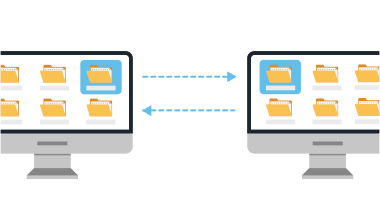 Follow-me data cloud solution – Store sync and share your business files across multiple devices. Enterprise Class Security – Gladinet uses complex data-at-rest encryption to secure your content before it leaves your device and all communication occurs across secure SSL connections. File Locking – Available for files inside a team folder. Automatically lock files when opened. Versioned Folders – Track changes to all files within the folder. Control how many versions are kept and for how long. Restore and undelete using old versions. Change Notification – Team members can subscribe to receive notifications whenever the contents of a file or folder are modified. Backup Replacement – Synchronizing your files to the cloud provides automatic backup. Easy Migration – Gladinet can make it easy to gradually retire file servers by first connecting them to cloud storage to seamlessly transfer content and create online servers. ready to start storing, backing up and sharing?